Every year in September, I offer some destinations for a fun weekend or long-weekend getaway. Whether you’re thinking of a couple’s weekend, some family-friendly fun, or a “girls’ getaway,” here are some locations to consider. The National Park Service is celebrating its centennial this year (the official birthday of the organization is Aug. 25). What better way to celebrate the vision of our forefathers and the organization’s stewardship of our land than by visiting one of the 58 National Parks? Manassas, Virginia, is one of the only destinations in the country that has two national parks: Manassas National Battlefield Park and Prince William National Forest. “The battlefield is more of a memorial park, and it’s a great place for people interested in Civil War history. The national forest appeals to those who enjoy outdoor activities such as camping and hiking, and it’s great for fall color,” says Nicole Warner, Discover Prince William & Manassas marketing and communications specialist. The Potomac River flows through the area, and there are number of places to enjoy water-focused activities such as fishing and kayaking. Warner says that Leesylvania State Park, located along the shore of the Potomac, is one of those places. The park offers hiking, picnicking, and boating. There’s also a fishing pier and a two-station fitness trail. Canoe and kayak rentals are available. 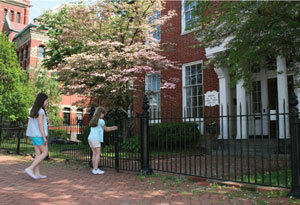 Historic downtown Manassas, which is about 30 miles from the nation’s capital, is described as quaint and charming. Visitors often like to participate in free walking tours of the historic downtown area that are held Thursdays and Fridays at noon April through October. 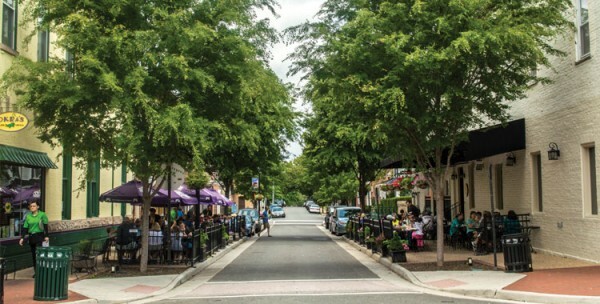 Those who love shopping will enjoy the downtown boutiques as well as several nearby malls, including Potomac Mills, the state’s largest outlet mall. Warner says that in addition to shopping, there are a number of restaurants. While there, be sure to check out Uptown Alley, a unique experience that includes state-of-the-art bowling, a restaurant serving Americana classics, video and prize games, billiards, the latest in audio/video technology, a sports theater, and live entertainment. I can’t think of anything like it in our area … yet! 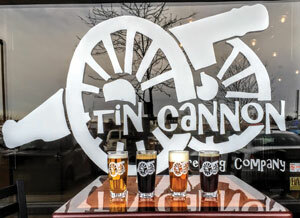 For those who enjoy spirits and libations, there are a number of microbreweries, two distilleries, and two wineries to visit. One of the wineries, The Winery at Bull’s Run, adjoins Manassas National Battlefield. Several historic homes in the Manassas area are open for tours, including the Ben Lomond Historic Site and the Gardens and Liberia Plantation. The Ben Lomond house was used as a Confederate hospital during and after the Battle of First Manassas. You can still see graffiti on the walls of the house that was written by Union soldiers campaigning through the area in 1862. Tour the main house/hospital area, slave quarters, dairy, and smokehouse. Rose lovers must also explore the antique rose garden on site that contains many rare and historic varieties of roses. The Liberia Plantation played an important role for both the Union and Confederates armies. It became the headquarters in 1861 for Confederate Gen. P.G.T. Beauregard, the first prominent general of the Confederate army during the Civil War, and also headquarters of Union Gen. Irvin McDowell in 1862. President Abraham Lincoln even traveled to Liberia to confer with McDowell. Another destination to consider for a weekend or long-weekend getaway is Cumberland, Maryland, and its surrounding area. It’s nestled at the base of mountain ridges and a creek that converges there with the Potomac River. “Our largest draw is the [Chesapeake & Ohio] Canal Towpath trail. This bicycling and hiking trail connects to the Alleghany Trail that comes out of Washington, D.C. There are a lot of destinations along the line, and it’s a pretty level trail,” says Caitlin Squires, marketing assistant with Allegany County Tourism. A replica of a canal boat is open for visitors to tour at the restored historic 1913 Western Maryland Railway Station that houses the Cumberland Visitor Center of the Chesapeake and Ohio Canal National Historical Park. The station also serves as the embarkation point for Western Maryland Scenic Railroad. In addition to regular excursions to delight both children and adults, dinner trains and a special murder mystery excursion are available. 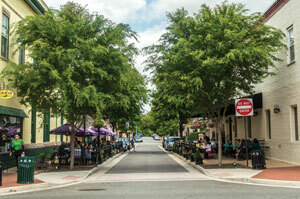 Nearby Shops at Canal Place is a shopping and restaurant mecca with a number of them located in historic buildings. Cumberland also has several historic homes and buildings. The Allegany County Historical Society owns and operates several properties as museums. The Gordon-Roberts House, the F. Brooke Whiting House & Museum, and the Union Grove One-Room Schoolhouse are open for tours, but hours vary. For those who enjoy architecture, a drive along the Washington Street historic district is a “must do.” Homes in this residential area are examples of architectural styles from the mid-19th and early-20th centuries, such as Greek revival, Victorian, Colonial Revival, and bungalows. A number of prominent Cumberland citizens made their homes on these tree-shaded streets, including the president of the C&O Canal, state congressmen, and former state governors. Most of the homes are privately owned and are not open for tours. Squires says that kids will also find some fun among the history. George Washington’s headquarters, a one-room cabin used by Washington when he served as an aide to General Braddock, is in Cumberland. This is the only remaining structure of what had been Fort Cumberland. Although the cabin itself is not open to the public, there is a window with an audio tour. Cumberland and the surrounding area host a number of special events throughout the year, including the Appalachian Festival, which will be held Sept. 15-17, 2016. For those who want to kick back and relax, a weekend getaway to a resort may be just the ticket. Kalahari Resorts and Conventions in the Pocono Mountains not only has a waterpark for family fun, but there’s also a spa. “Kalahari Resorts and Conventions isn’t your typical resort—its authentically African theme is designed to bring families together,” says Natasha Lucke, Kalahari Resorts and Conventions interior designer. She adds that the resort was built by a family—which also happens to be her family—for families. “It was designed to meet the needs for all members of the family, from toddlers to grandparents,” she stresses. The resort features 457 well-appointed guest rooms featuring one-, two-, and three-bedroom suites. An outdoor waterpark features a huge outdoor pool, a large sundeck for relaxing, indoor/outdoor whirlpools, a lazy river, private cabanas, and a swim-up bar. She says that the 100,000-square-foot indoor waterpark is the state’s largest. There is also a 30,000-square-foot family entertainment center with cutting-edge arcade games, mini-bowling, black light mini-golf, and a 5-D theater. The resort also boasts three full-service restaurants, each with its own unique menu and comprehensive wine list and cocktails, as well as 6,000 square feet of retail space. Couples and ladies on “ladies’ weekends” can also relax and rejuvenate their minds, bodies, and spirits at Spa Kalahari. It offers a variety of body treatments, massages, and skin and nail care. Also located in the spa is the Hydro Oasis, featuring an herbal-infused steam room, multisensory experiential shower, dry redwood sauna, whirlpool with hydro jets, and outdoor patio. “The Pocono Mountains is one of the premier tourist destinations in the country and is destined to be ‘the waterpark capital of the East Coast,’” says Lucke. She points out that an expansion is in the works. Once complete, it will add 520 rooms (bringing the total number to nearly 1,000), new restaurants, retail shops, an expanded family entertainment center, and expanded outdoor activities pool. The indoor waterpark area will double to 200,000 square feet. Kalahari Pocono is truly an all-seasons destination. 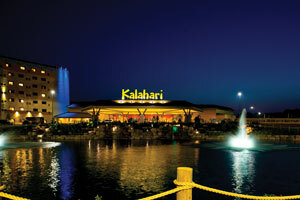 Lucke says that Kalahari transforms the resort into a winter wonderland that immerses guests into the holiday spirit. “From tree lighting, to gingerbread house making and delicious special holiday buffets [for both Thanksgiving and Christmas], Kalahari knows how to help your family make memories to last a lifetime,” she says.